Bajaj Electricals Ltd (BEL), a subsidiary of Indian conglomerate Bajaj Group, recently revamped its website on the occasion of the site’s 20th anniversary. When the website was started way back in 1997, BEL became one of the first Indian companies with their own website. This, in fact, happened even before Google existed. The website, which turned 20 on 15th August 2017, was also one of the first to showcase catalogue and pricing. 7 years into its existence, in 2004, it had its own e-com portal and in 2009, they teamed up with Oracle ERP to show live stock & price updates to users. The revamp definitely looks like one which is focused on enhancing the user experience. The overall theme is based on flatter design language. The website has the common navigation tray to its left. 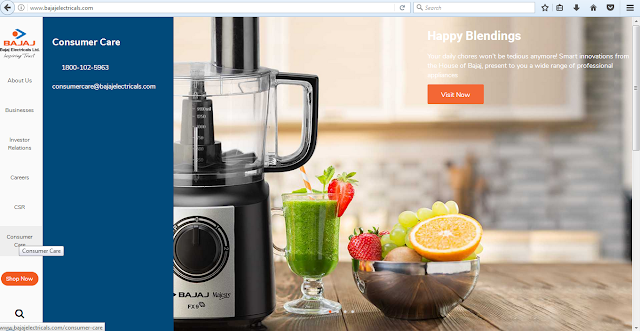 This menu makes navigating through the website easier for everyone, be it a consumer or investor. The regular about and career sections, which are often tucked away at the bottom, are included in the main menu. This section remains on your screen, no matter you navigate to. 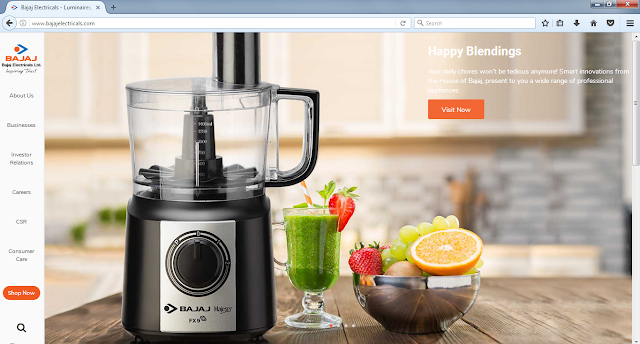 The About option contains usual links to the details of Bajaj Group, Bajaj Electricals and the company’s own Bajaj World. It also highlights Bajaj’s “Vision & Values”, which gives us an insight to the work culture that exist in Bajaj and their strife to ensure quality. Next section is the Businesses, which includes details about the products such as home appliance, luminaires, EPC (Engineering, Procurement and Construction) and Exports. Below that is a tab for Investor Relations which contains annual reports, financial results and other such economic related stuffs. Careers tab and CSR (Corporate Social Responsibility) lie below, both of which are self-explanatory. 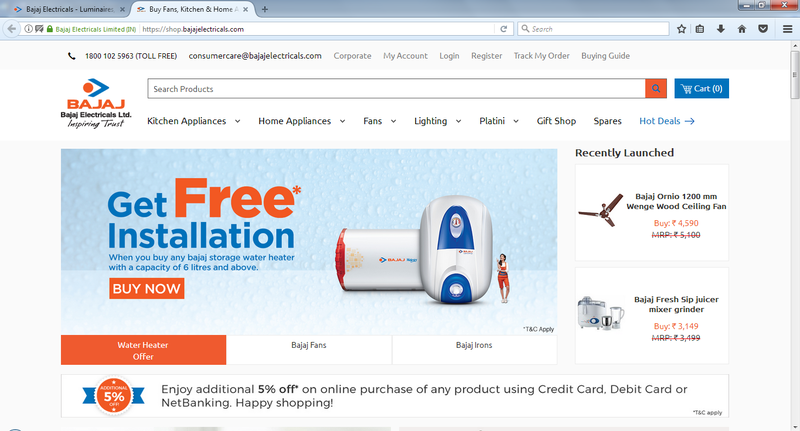 A dedicated tab for Consumer Care is below that, with details of the toll free number and help email address. A search option resides at the bottom, clicking which a full screen box opens up, where we can type in the keywords of the subject we’re searching for. An additional ‘Shop Now’ tab lies between Consumer Care and Search, which takes the user to the e-com portal, where the products of BEL are sold. The overall simple and intuitive designing of the page ensures a smooth sailing for the users. One can reach out to the desired page without having to go through complicated steps. Nothing is hidden behind multiple options and almost everything is visible directly on the home page. No matter who you are, consumer, investor or anyone else, BEL website is equally simple to use for everyone. And this simplicity highlights BEL’s commitment towards delivering quality experience to its consumers.